Unique way of cooking up a classic side dish. Very little prep involved. 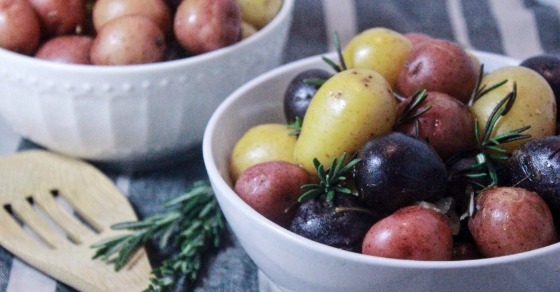 Bite sized potatoes. 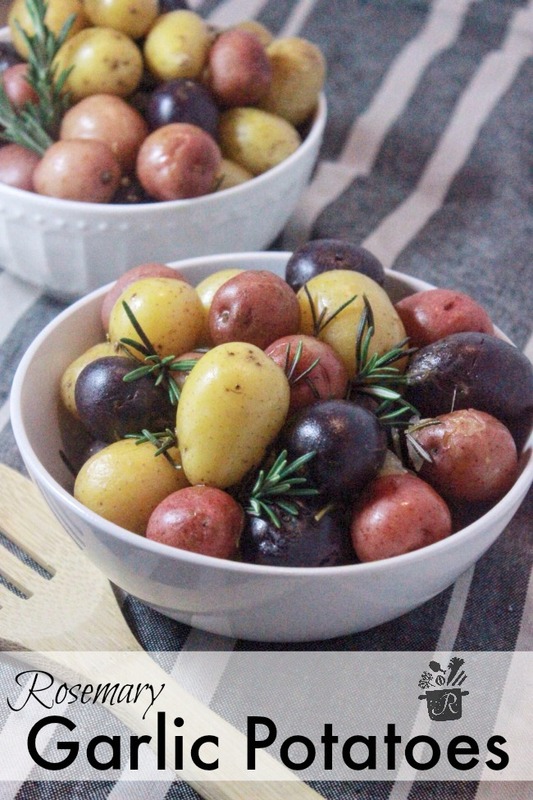 Eye catching side dish for a party or family dinner. 3. add onions and garlic to pot and saute, stirring occasionally, for about 3 minutes or until onions look shiny and partially cooked. 4. add chicken stock, butter, salt, pepper and rosemary to pot and bring to a simmer. For best flavor, allow chicken stock, butter, salt and pepper to come to a boil and simmer for about 2-3 minutes before adding potatoes. 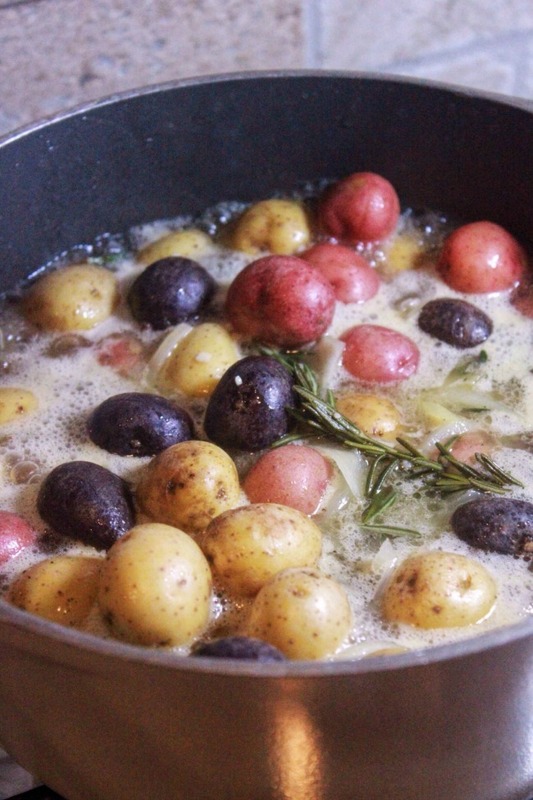 6. allow to cook covered for about 20 minutes or until potatoes are at the desired softness. 7. 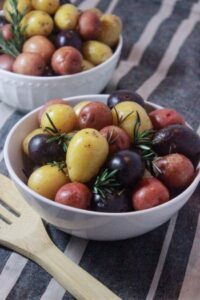 Ladle out of pot, garnish with rosemary and enjoy. Add onions and garlic to pot and saute, stirring occasionally, for about 3 minutes or until onions look shiny and partially cooked. Add chicken stock, butter, potatoes, salt and pepper to pot. allow to cook covered for about 20 minutes or until potatoes are at the desired softness. 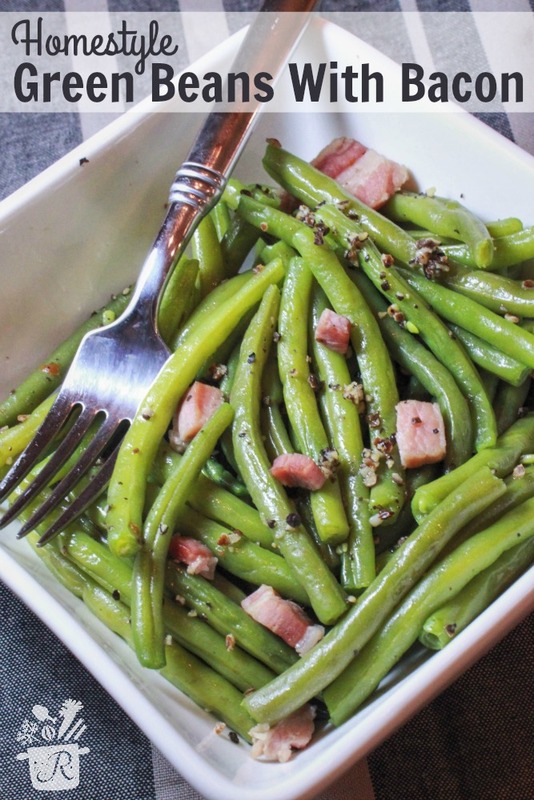 For more tasty sides check out our homestyle green bean recipe!